Will Motivational Posters of President Barack Obama Help an Ailing Presidential Re-election Bid? 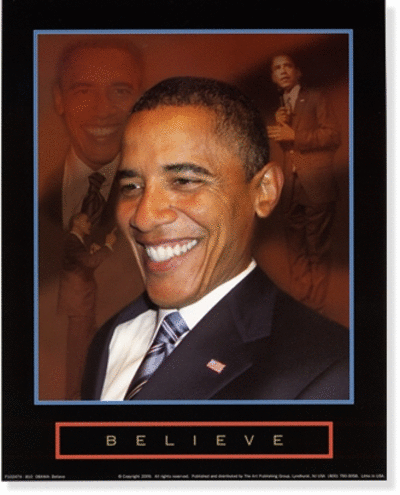 What’s the deal with President Barack Obama Motivational Posters? Are people buying them like collectible memorabilia or are customers so turned off by the President’s policies that retailers can’t give them away? Why is there such strong demand for Congressman Paul Ryan Motivational Posters? Generic competitors in the motivational poster niche offer up to 65% savings from name brand market leaders.